Political, civic and business leaders are being urged to reject “short termism” in discussing Perth’s long-term infrastructure needs. 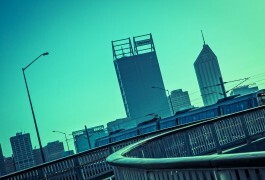 Chairman of Regional Development Australia (RDA) Perth, Keith Ellis, said there was a risk that short-term thinking would endanger the region’s prospects of developing a considered and balanced approach to infrastructure development. Mr Ellis made the comments on the eve of the release of a landmark Plan that consolidates the views of key stakeholders about the critical infrastructure needs of the Perth and Peel region up until 2050. 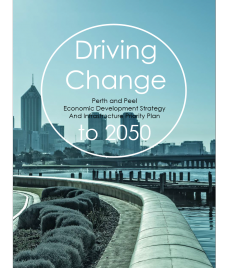 Entitled “Driving Change”, the Perth and Peel Economic Development Strategy and Infrastructure Plan is focused primarily on job creation for the region’s burgeoning population up until mid 21st century. “The Development Plan is a document designed to drive long term consideration of the key infrastructure priorities for Perth and Peel over the next 30 years but doing so with a single-minded focus on expanded employment opportunities,” Mr Ellis said. “The Report represents the outcomes of an extensive consultative process with stakeholders with a special emphasis on local government authorities. “The Report is NOT intended to be an endorsement of any particular project or advocate a strict timeline; rather to represent a long term view of future requirements to drive future consideration and decision making by all levels of government. “The Committee is anxious that the long term nature of the Report’s focus is understood to avoid short term considerations or debate about future infrastructure needs. Mr Ellis said there were some concerning employment trends in both the Perth and Peel regions that required a renewed focus. “The current decline in the resources sector has impacted employment significantly and there is evidence that this decline will continue as projects move from construction to operation phase. “While the resources sector will remain a significant driver of employment, we need to work harder at creating jobs across parts of the region where the population is expected to increase – especially the outer metropolitan areas. “When you look closely at regions like Perth’s south metropolitan and Peel, where the population is expected to climb, there is a desperate need for infrastructure that creates rich employment opportunities – in other words we need to work harder at developing jobs where the population is growing fastest,” he said. The Plan identifies two categories of infrastructure that require specific focus by Government and civic leaders: Nation building initiatives that require strong government intervention and regional significant initiatives that require government support and policy development. Mr Ellis said a critical element of the approach being advocated by the Plan was the notion of matching infrastructure development to urban and outer urban areas where there was significant need to create employment opportunities.